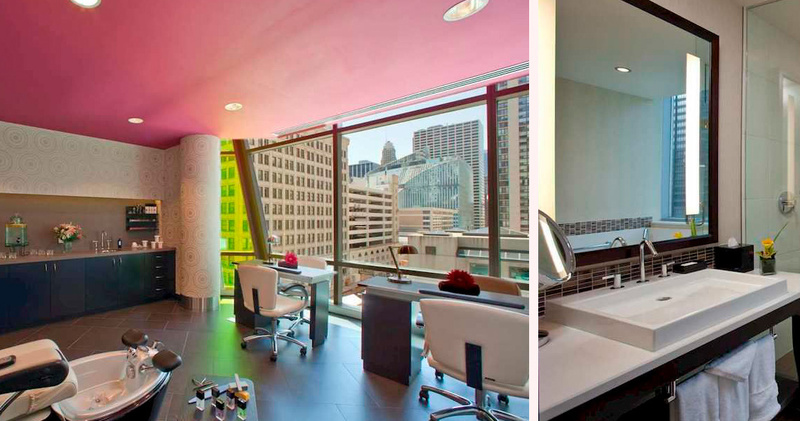 Located in the heart of Chicago’s shopping and theatre district, The Wit Chicago offers comfortable accommodation amidst bold, colorful decor. 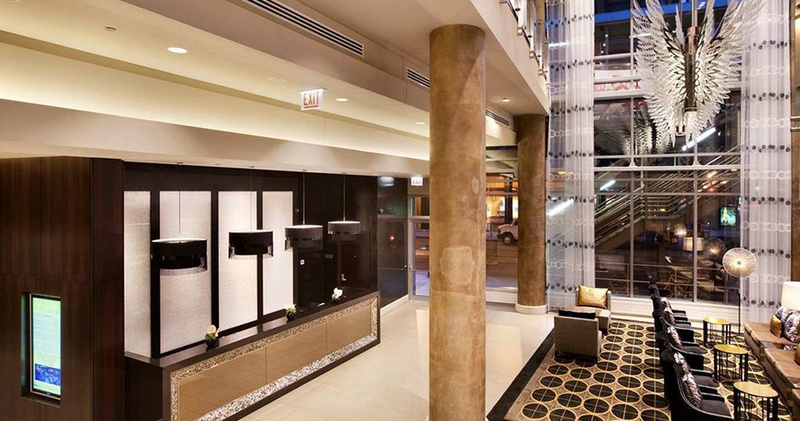 The Wit Chicago is just minutes away from Michigan Avenue, the Loop and Millennium Park. With its striking glass facade, high ceilings, black and gold decor and beautiful crystal wings display, the lobby offers a grand sensory experience. 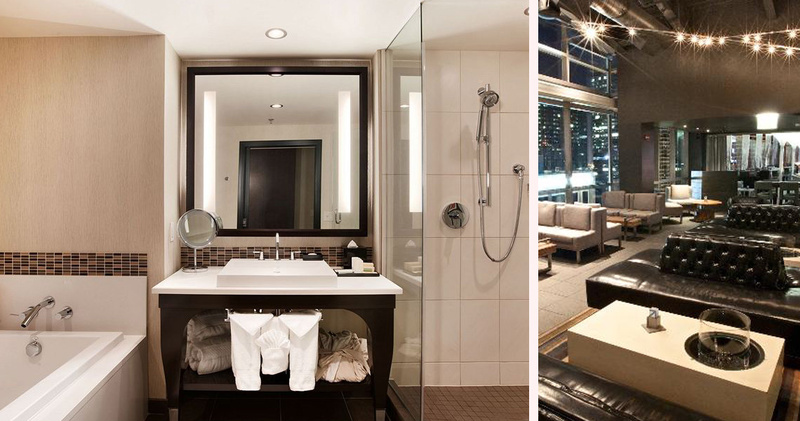 The Wit Hotel Chicago has been designed to offer a refined urban living experience with its impressive dining facilities, spa and private movie screen. 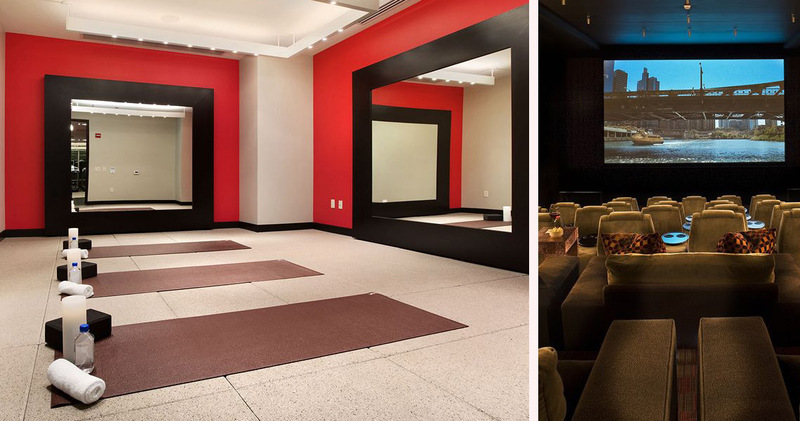 The hotel’s own multimedia theater features plush recliners, cocktail tables and custom menus, and is available for movies, sports and TV viewing parties. 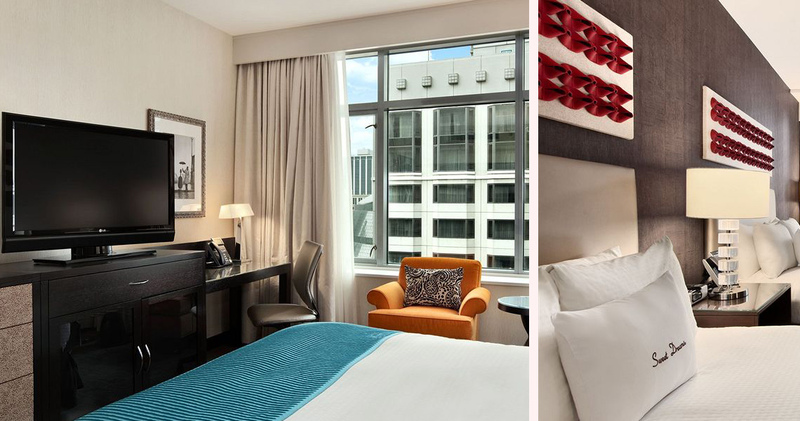 The guest rooms at Wit Chicago are stylish and elegant, featuring witty artwork and beautiful city views through full-length windows. Rooms feature spa-style bathrooms with products from Gilchrist & Soames, 42″ HD TVs, Wolfgang Puck coffee machines and iPod docking stations. 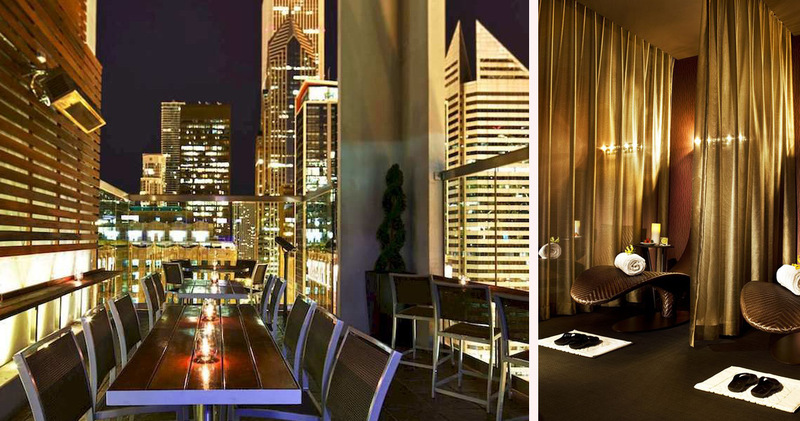 The Wit Chicago even offers guests a Desk Jack Pack with extensive entertainment and internet connectivity. The Spa Guest Rooms at the hotel also provide spacious bathrooms, with Kohler soaking tubs to enjoy an authentic spa experience. 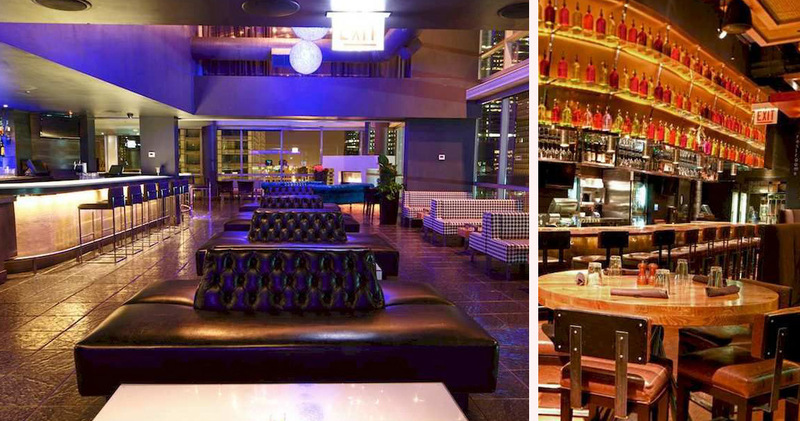 The Wit Hotel Chicago is home to the State and Lake Chicago Tavern. With its warm, inviting decor, the tavern is reminiscent of a friendly pub. Guests can enjoy whimsical cocktails like Pineapple Express and Hummingbird along with bistro burgers and pork chops. 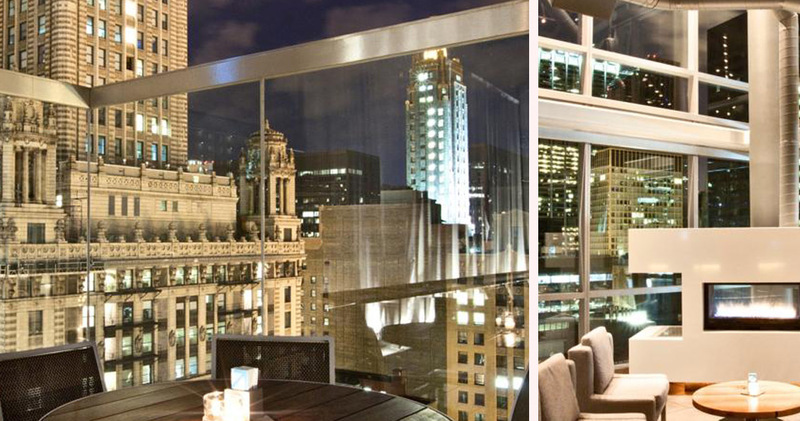 Located on the 27th floor of the hotel, the Roof was named one of the world’s top three rooftop bars. It features themed events, a video wall and delicious gourmet finger foods.